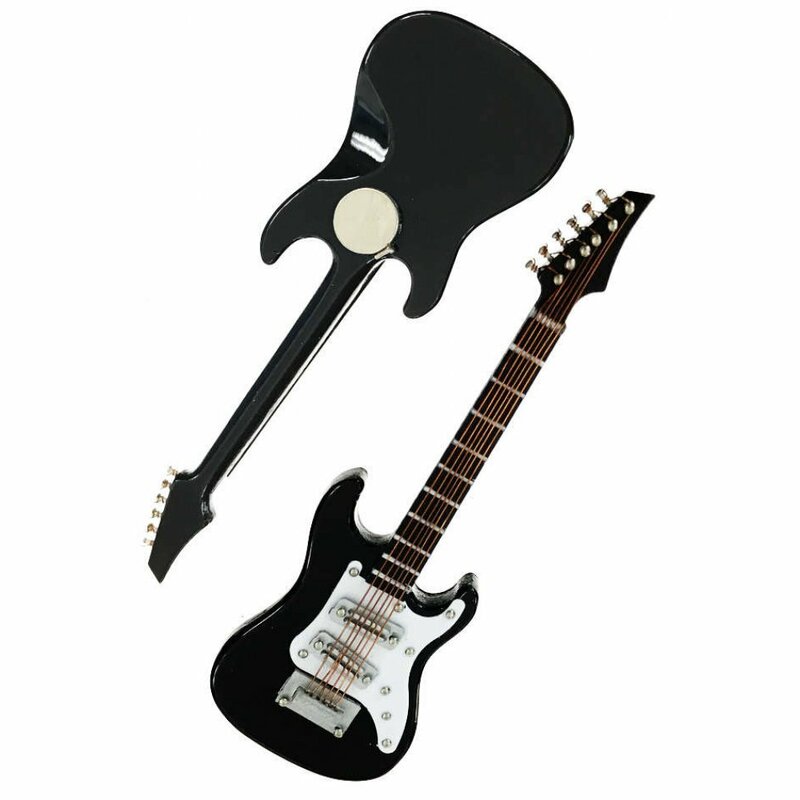 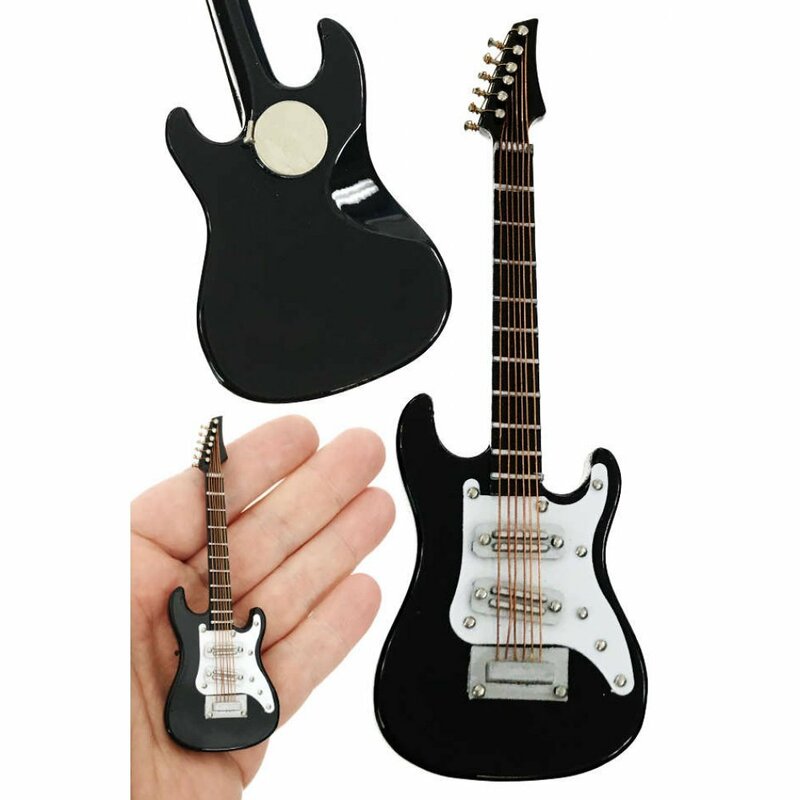 Place this beautiful black Electric Guitar on any magnetic surface. 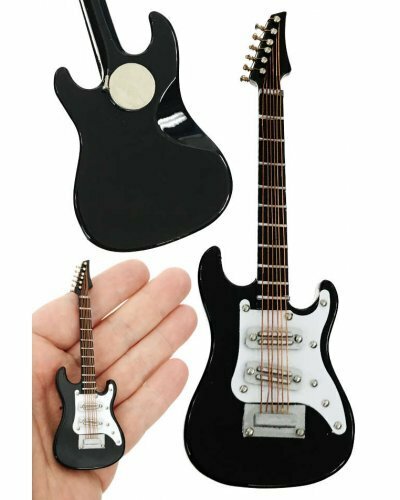 Our amazingly detailed wooden Rock n Roll Fender-style guitar looks like a classic strat complete with 6 strings, pickups and a pick guard. 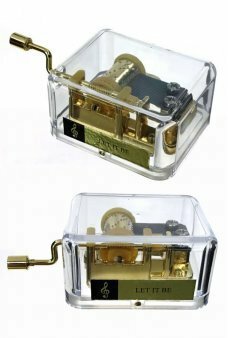 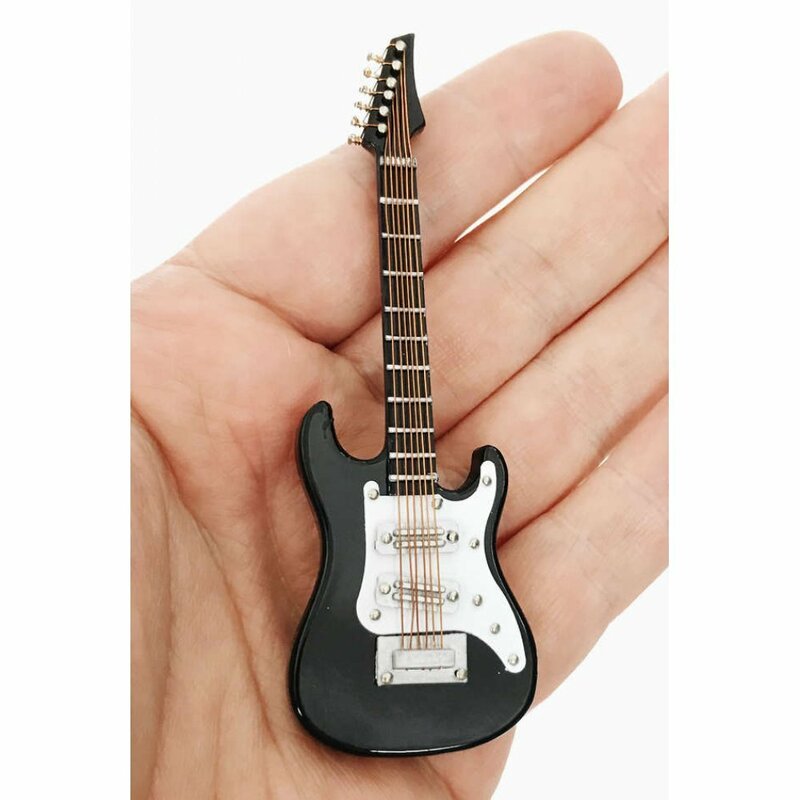 A perfect gift for your Guitar player or rock music fan!